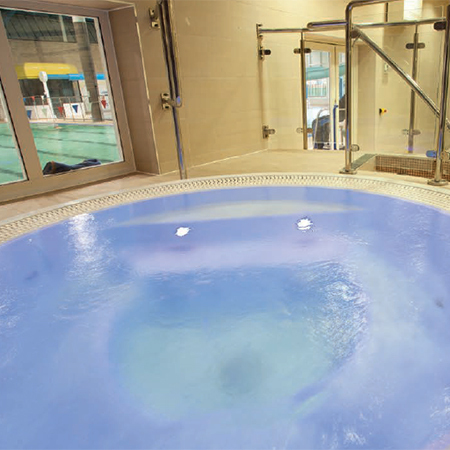 Helo provided a large sauna, steam room and spa bath for Penarth Leisure Centre. 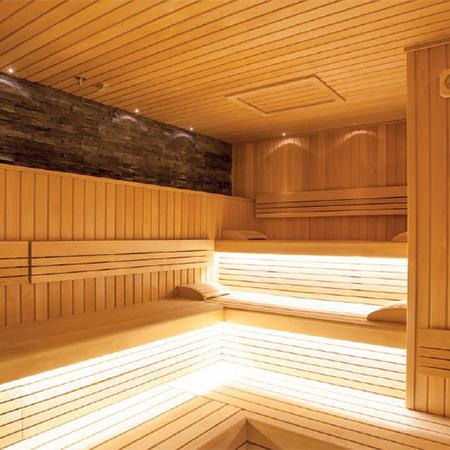 After a severe fire which started in the old health suite sauna Helo were initially called upon to survey the damage and produce a specification document to form the basis of a tender. Everything in the health suite itself was destroyed, the sauna and steam down to only an outline on the floor. The spa shell was protected to an extent by the water within but damaged at the top level. The through the wall dehumidifier transferred the fi re and smoke into the plant room. The water filled balance tank and filters survived but all the high level pipework and electrical equipment would need replacement. Helo were successful with the competitive tender process and worked together with the leisure centre, architect and builder to deliver the project on time. 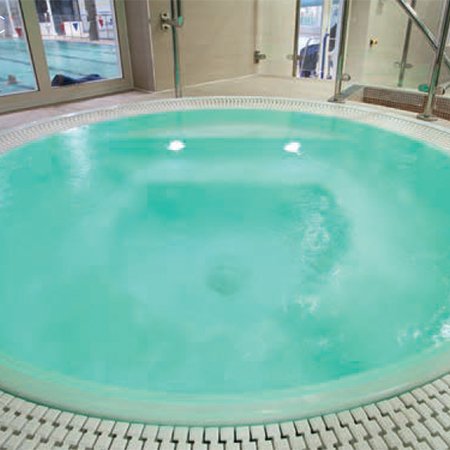 The leisure centre also decided to upgrade at their own cost some of the features to provide an improved experience for their clients. This included a wellness system for the steam room, feature stone wall and essence infusion for the sauna and modern chemical dosing system. 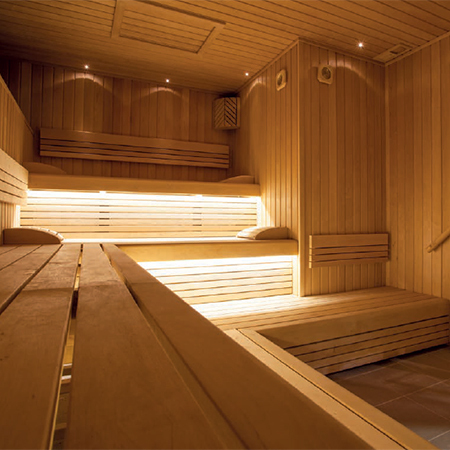 The large sauna was provided with under-bench heaters. 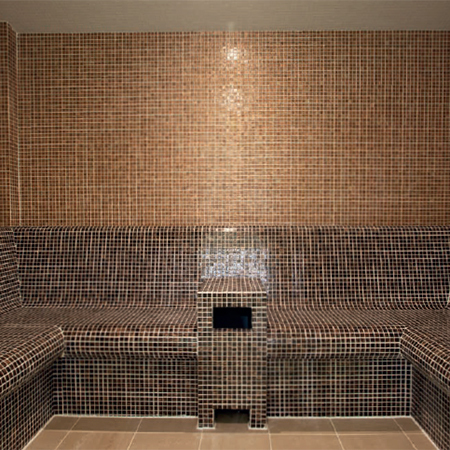 The back wall was enhanced by a natural dark stone which also protected the hottest areas of the sauna to slow down the ageing of the interior. Wide, European grade sauna benches provided comfort and had timber handrails either end to aid infirm access. 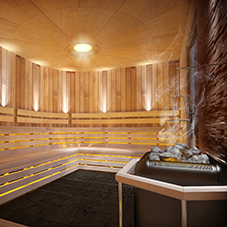 The sauna was now protected by a fire suppressant system which would extinguish any fire safely without damaging the interior. 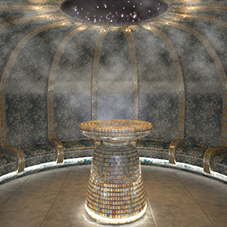 The steam room was constructed in Lux Element with contoured benches. The room was completely reinforce taped and waterproofed prior to tiling and grouting with epoxy for ease of cleaning and long life. 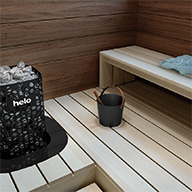 The Helo wellness system delivers fresh air with steam and essence safely into the room and maintains a slight negative pressure to keep the steam within. 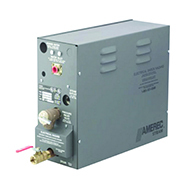 This provides maximum steam throughout for all bathers. 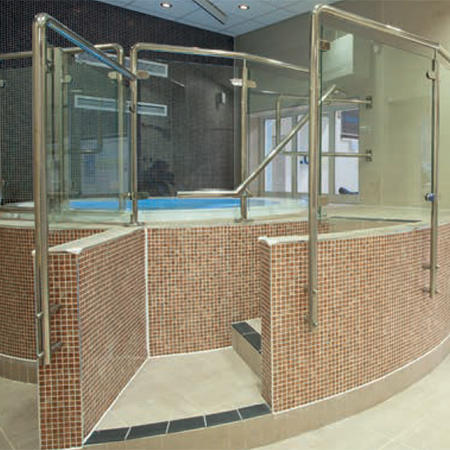 The spa shell was a UK manufacture which was still available, so Helo carefully repositioned the fittings and underwater light to align with existing access and openings. The shell was positioned and protected early due to access. In the plant room Helo refurbished the filters with new media, installed chemical dosing plant and replaced pumps, blower and pipework. The walls of the plant room were treated by specialists to clean and seal smoke effect.